Last week, the ATO released for public comment draft Taxation Determination TD 2013/D9 “Income tax: when will Design Expenditure incurred by an R&D entity be included in the cost of a tangible depreciating asset within paragraph 355-225(1)(b) of the Income Tax Assessment Act 1997 (and therefore not able to be deducted under section 355-205)?” Submissions are due by 24 January 2014. The draft Taxation Determination is concerned with situations where an R&D entity incurs expenditure on various stages of design activities, connected with it beginning to hold a tangible depreciating asset, where that expenditure also falls within the terms of s 355-205.2 ITAA 1997. 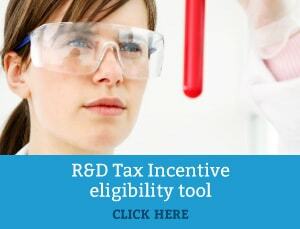 This expenditure will typically be incurred in certain situations where an R&D entity is producing an asset on its own behalf or where another firm produces the asset specifically for the R&D entity. This is distinct from the R&D entity purchasing an already produced asset from a third party. The asset begins to be ‘held’ by the R&D entity during the commissioning of a fully produced asset. At this time the R&D entity is the legal owner of the asset, and therefore, the holder under item 10 in the table in s 40-40. To view the draft Taxation Determination click here.